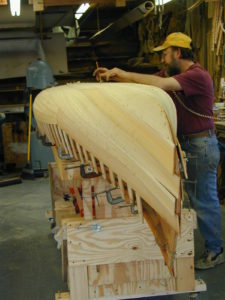 Ordering & Shipping - Northwoods Canoe Co. Your business is important to us, and we want to give you the best service we can. However, we are a small shop and cannot provide the rapid shipping and tracking services you expect from the giant businesses. 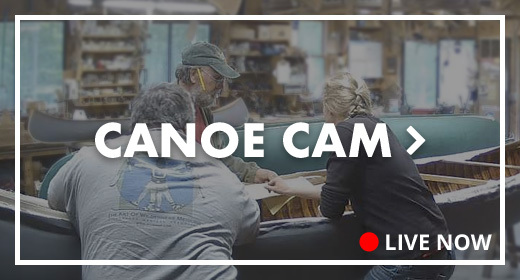 Our “mail order department” for taking your orders and answering your canoe questions consists of whoever is nearest the phone when you call. The shipping department works best when Pam can do the shipping and leave Elisa and me in the shop to work on the boats. But no matter who is available, I try to make sure the shipping goes out at least every other day. We trust that we can offer you the kind of attention and consultation that you can only get from a small, specialized shop. Shipping has become increasingly expensive. We try to charge you only the actual cost of your package. If you are overcharged by the standard rates, we will send you a refund. If we need to collect more than the standard rates, we will send an explanation and invoice with the package. We accept credit cards, personal checks or money orders in U.S. funds via telephone, mail, fax or e-mail. We strive to ship your products at the lowest rate that we can. That charge is what you will incur, plus handling. If you are not satisfied with any material or part that you receive, please return it for a 100% refund, plus your cost of shipping. Basic Shipping Charges: Because there is no standard for the types of orders the shop receives, it makes predicting the shipping cost ahead of time problematic. At the time of ordering we can let you know the true cost of the shipping. You may be contacted to approve excessive charges. Please note: There may be extra UPS charges for bulky or extra-heavy packages such as rough lumber and large rolls of canvas. The bill for extra UPS charges will be included with your order. Since we do not accept direct internet orders you may either phone in your order, print out the Order Form and send it by mail or fax, or send your order by e-mail (email is not secure) to info@woodencanoes.com.